The powerful Dingo Harley Rake is an extremely versatile tool. The rotating drum can be set at variable heights above and below the surface. The Tungsten Carbides Teeth are shaped to ensure the best possible seedbed sub-base fracture pattern. Used For: Preparing soil for seeding, removing old or worn turf. Levelling surfaces and back filling trenches. 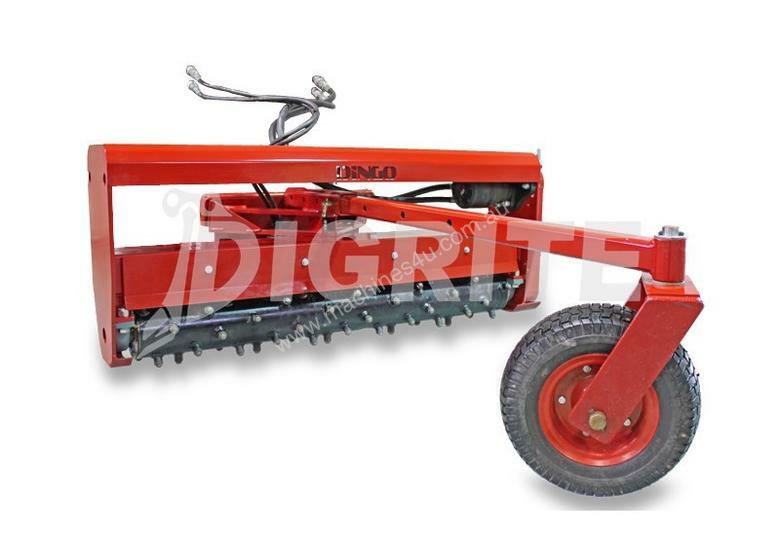 Used With: Bucket, Trencher and Lawn Aerator.